Ohio State vs. Michigan, Auburn vs. Alabama, Florida vs. Georgia, Army vs. Navy — the list goes on. These are some of the biggest rivalries in college football and they go back over a hundred years, with cities shutting down for a week in preparation of the game itself. Tied at 1-1 after the last two seasons, the renewed Pitt-Penn State rivalry is back in full swing, with the next installment being featured on prime time Saturday on ABC. But this year’s and next year’s game may be the last for a while, and it may not be worth Pitt’s time to keep the rivalry going after that. After a 16-year hiatus, Pitt beat Penn State 42-39 in 2016 at Heinz Field. The game set a record attendance for any Pittsburgh sporting event with 69,983 fans, and although the game ultimately didn’t mean much in the course of a season, the Penn State win was a signature victory of the Panthers’ 2016 season. Penn State crushed Pitt 33-14 last season with 109,898 fans in attendance at State College — the eighth all-time highest attendance in Beaver Stadium history and the largest since 2009. With that victory, the Nittany Lions took the all-time lead in the series 51-43-4 heading into Saturday’s contest. The current agreement between Pitt and Penn State will come to a conclusion in 2019 with the 100th meeting in Happy Valley. The two schools have spoken openly about the rivalry and what the future holds for it. Pitt Athletic Director Heather Lyke has spoken very highly of the rivalry and the desire to continue it going forward. “I’ve been in as much contact as I can with [Penn State AD] Sandy [Barbour], who I have a lot of respect for at Penn State — tremendous leader, tremendous mentor, tremendous friend to me. We have an agreement before them, but it has not been signed. We have asked to extend the games for four more years, starting in 2026,” Lyke said in an April 2018 press conference. Lyke makes a strong point by saying if Penn State doesn’t express the same desire to play as Pitt does, then the school shouldn’t wait around for them. Lyke doesn’t want to let them dictate the rivalry — and she shouldn’t. If other top-notch schools are interested in playing the Panthers, then Pitt should work those games out. Penn State head coach James Franklin spoke earlier this year about the series and why it may cease to exist, citing the College Football Playoff system as a reason why a matchup with Pitt — which carries neither the high pedigree of a top-tier team nor the sheer vulnerability of an FCS opponent — may be illogical to schedule. Franklin did, however, speak positively of the current rivalry. If Franklin thinks it’s so “awesome,” Penn State should hurry up and sign another deal to play Pitt annually. Otherwise, there are plenty of other rivals Pitt can play, like West Virginia, which will be returning to play Pitt in 2022. Pitt’s rivalry with West Virginia — or “the Backyard Brawl,” as it’s called — is as significant if not more so than Pitt’s rivalry with Penn State. 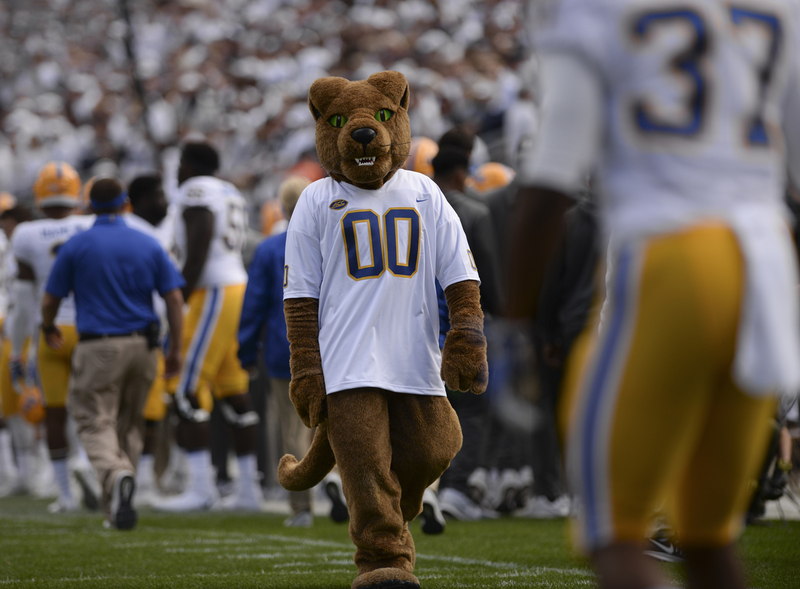 The two schools have met 104 times with Pitt holding a 61-40-3 advantage all time. The last time the two teams met, in 2011, the Mountaineers beat the Panthers 21-20 in West Virginia. Pitt’s rivalry with West Virginia also brought about what was perhaps Pitt’s most memorable moment of the last 20 years — when the 4-7 Panthers shocked the No. 2 Mountaineers in 2007, winning the game 13-9 and ending the Mountaineers’ title hopes. Another rivalry with a significant amount of history and bad blood is Pitt’s rivalry with Notre Dame, which renews this year at Notre Dame on Oct. 13. The two teams have faced off 70 times with Notre Dame holding a 48-21-1 record all-time in the series. The two teams played annually between 1996 and 2013, including some classic games like Pitt’s 36-33 quadruple-overtime win in 2008 or Notre Dame’s 29-26 triple-overtime victory in 2012. Either of these rivalries would bring comparable crowds out to Heinz Field if Pitt focused on keeping them alive and both West Virginia and Notre Dame seemed more willing to meet Pitt halfway. Pitt needs to stop pushing “The Keystone Game” rivalry with Penn State if its rival school is making negotiations difficult. Of course, the game will set record attendances when played, but it isn’t worth going through the trouble.